Android viruses (and other malware) are on the rise, but how much of a threat are they to enterprises? And what are the best tools for combating them? 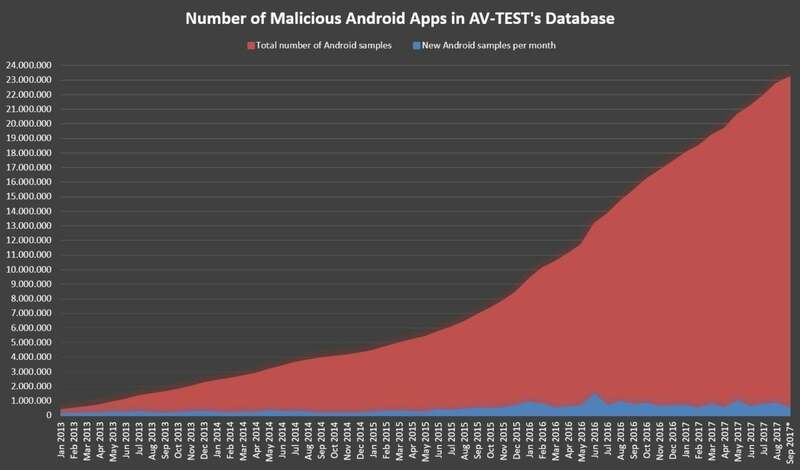 AV-TEST’s Research from the AV-TEST Institute, a Germany-based independent service provider of IT security and antivirus research, shows that Android malware samples collected have increased sizably every year. In 2014, the total was more than 326 million. The next year, the malware tally reached more than 470 million. In 2016, AV-TEST recorded nearly 597.5 million samples—nearly double the amount from two years earlier. Android malware is getting more sophisticated, too. Consider DoubleLocker—Android ransomware that IT security firm ESET recently detected. DoubleLocker is capable of changing a device’s PIN, preventing users from accessing their devices. It can encrypt the data on the device. That’s a double whammy, the likes of which haven’t been seen before in the Android ecosystem, according to ESET. 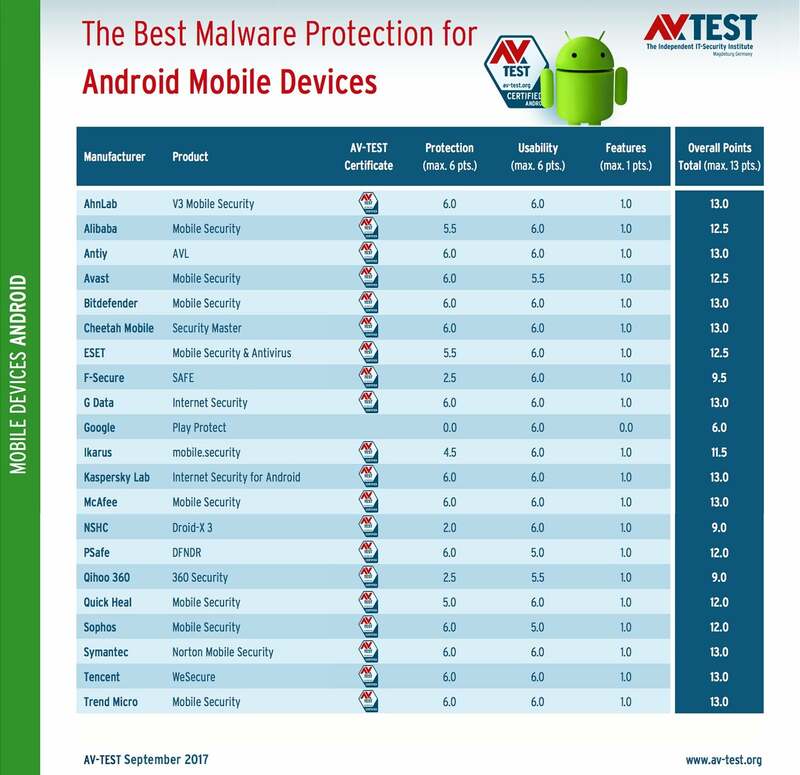 The following are the 10 best antivirus software tools for Android, according to AV-TEST’s September 2017 evaluations of 21 Android security apps. 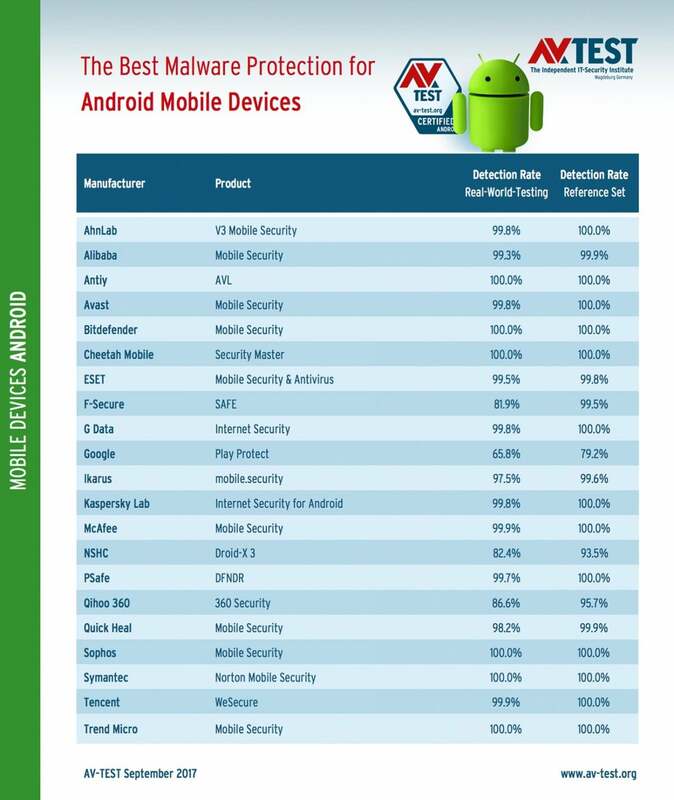 Each Android antivirus software app listed below received perfect protection and usability scores of 6.0. The apps are in alphabetical order. AhnLab’s V3 Mobile Security managed Android malware detection in real-time 99.8 percent of the time, compared to an industry average of 95.7 percent. It found the latest Android malware discovered during the previous four weeks 100 percent of the time, versus the industry average of 98.4 percent. The app doesn’t negatively affect battery life or cause the device to get sluggish during normal use. It registered zero false warnings during installation and use of legitimate apps from Google Play or third-party app stores. V3 Mobile Security’s safe browsing features help protect against phishing attacks and malicious websites, but the app doesn’t include anti-theft features such as remote wipe. Additional features not evaluated by AV-TEST include an app lock and a privacy advisor. 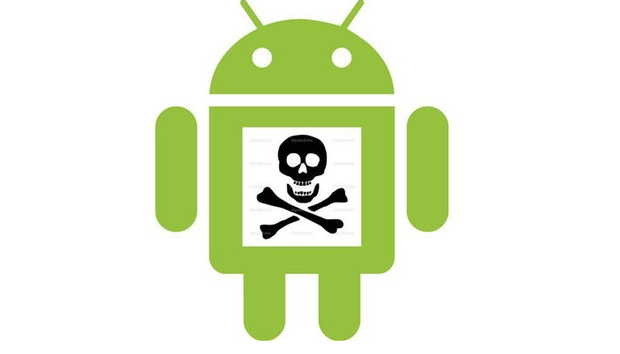 The AVL malware protection app did a flawless job of Android malware detection in real-time as well as the threats discovered in the previous four weeks—100 percent detection in both cases. AVL also earned high marks for not impacting battery life, slowing the device during normal use, or generating too much traffic on the device. It issued zero false warnings during installation and use of apps from Google Play or third-party app stores. AVL offers safe browsing and protection from phishing as well as the ability to block calls from specific or unknown numbers, but it doesn’t offer anti-theft features such as remote locking, wiping, or locating, according to AV-TEST. Bitdefender’s Android malware detection in real-time is 100 percent, and it discovered the newest Android threats discovered in the last four weeks 100 percent of the time as well. For usability, the app gets big check marks for not dragging down battery life or device speeds. AV-TEST found zero false warnings during installation/usage of legitimate apps from Google Play and third-party app stores. Unlike some Android malware protection apps, Bitdefender’s Mobile Security offers anti-theft features, including remote lock, wipe, and locate, as well as safe web browsing and phishing protection. Like many other Android security tools, it doesn’t include message filtering or call blocking and doesn’t support all types of encryption. Additional features not evaluated include app lock, a privacy advisor, and account privacy. When it comes to Android malware detection, Cheetah Mobile’s Security Master app gets the job done 100 percent of the time. The app’s perfect usability score comes from having a light touch in impacting battery life, not slowing down the device, and not generating excess traffic on the device. Zero false warnings were detected when installing and using apps from Google Play or third-party app stores. Security Master includes the trio of anti-theft features AV-TEST looked for: remote lock, wipe, and locate. Other features include call blocking (of specific and unknown numbers) and protection from phishing attacks and malicious websites. Additional features not tested include a privacy cleaner, power boost, and additional Wi-Fi security. G Data’s Internet Security has more features than many of its other top-rated competitors. AV-TEST checked the boxes for remote lock, wipe, and locate; call blocking; message filtering; safe browsing; parental control; and support for all encryption. The only ‘x’ the app received was for not enabling personal data to be saved to an SD card or cloud storage. Otherwise, Internet Security’s real-time Android malware detection rate was 99.8 percent, while it detected threats discovered in the past four weeks 100 percent. The excellent usability score resulted from not negatively affecting battery life, dragging down device performance, or generating too much traffic. The app issued zero false warnings during installation and use of legitimate apps from Google Play and third-party app stores. Kaspersky Lab’s Android malware scanner caught the latest Android malware in real-time 99.8 percent of the time and the latest threats discovered over the prior month 100 percent of the time. The app’s perfect usability score results from not impacting battery life or slowing performance. The feature set is more robust than most, with remote locking, wiping and location; call blocking; message filtering; and safe browsing/anti-phishing protection—though G Data’s Internet Security product offers a few more features. Additional features not tested include privacy protection, anti-phishing protection for texts, and app lock. McAfee Mobile Security Android malware scanner detected bugs in real-time 99.9 percent of the time, but caught bugs discovered in the last four weeks 100 percent. As with all other apps in this roundup, usability was stellar. The app’s feature set is strong, including a full set of anti-theft tools, call blocking, safe browsing and phishing protection, and the ability to save personal data to an SD card or the cloud. Mobile Security doesn’t support all types of encryption, however, or text message filtering. Other features not tested include a battery optimizer, privacy, and app lock. Norton MobileSecurity is among the most full-featured Android malware detection suites in this top 10 round-up. Along with all three anti-theft features, it offers call blocking, safe browsing/phishing protection, and personal data back up to SD cards and the cloud. Additional features not tested include an app advisor and privacy controls. MobileSecurity detected new malware in real-time as well as those discovered in the past month 100 percent of the time. Performance was top-notch, with no impact on battery life and device performance. With Tencent’s WeSecure, you won’t get anti-theft features (remote lock, wipe, and locate). AV-TEST didn’t list any additional noteworthy features that weren’t tested, but you’ll get call blocking, safe browsing/anti-phishing protection, and the ability to backup personal data to SD cards or the cloud. The app nearly aced real-time detection of new malware, catching it 99.9 percent of the time, but it detected new malware reported in the previous four weeks 100 percent of the time. Usability was excellent, with no downsides for battery life or performance and no false warnings. Trend Micro’s Mobile Security checks most of the feature boxes: anti-theft, call blocking, text message filtering, safe browsing and anti-phishing protection, and parental control. Plus, there are a privacy scanner, messenger protection, and network protection. The app achieved a 100 percent detection rate for new malware in real-time as well as for threats discovered in the past four months. Usability was excellent, too, with no drag on battery life or performance and zero false warnings.